Now that it’s finally 2015, we’re getting closer to the release of Final Fantasy Type-0 HD. With that comes the Final Fantasy XV demo. So what will we get to experience as part of Episode Duscae? Well, not the car we’ve seen so much of. Speaking to Polygon, director Hajime Tabata explained that he didn’t want players to feel like the series had changed too much. You’ll be able to experience the starting point of what an open-world Final Fantasy would potentially feel like. You’ll really be able to experience that seamless Final Fantasy world within the demo itself, but then if you play it, you’ll still really get a sense that it’s a Final Fantasy game. You’ll get that balance within the demo. I suppose this makes sense. 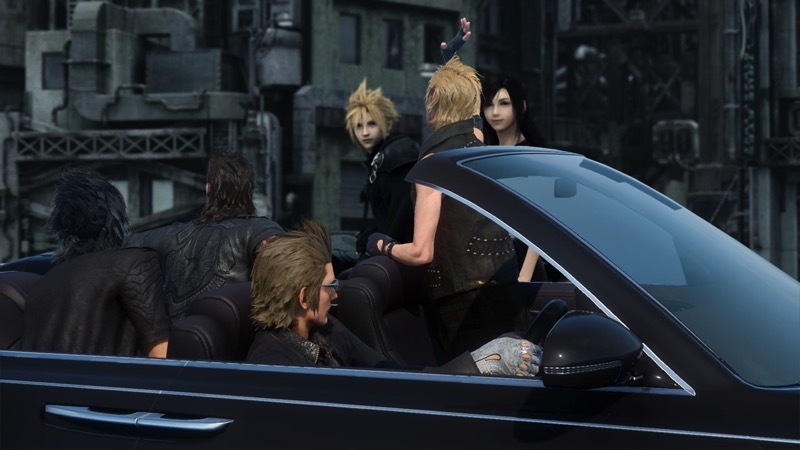 People would be very quick to jump to conclusions about the game based on the demo, and if the car is too prominent, they will claim that it’s not a “real” Final Fantasy game. I know I’m skeptical about the car – it might be great but it might just break that whole “fantasy” feeling. I’m trying to keep an open mind about it, but I do think that it’s best to reserve it for the full game, when it will feel like a quick means of getting around rather than a completely different form of gameplay. At least, that’s what I’m hoping. Were you hoping to get a feel for the open road in the demo? Or is the demo more about seeing what the new combat system is all about, as well as getting to know the various characters?